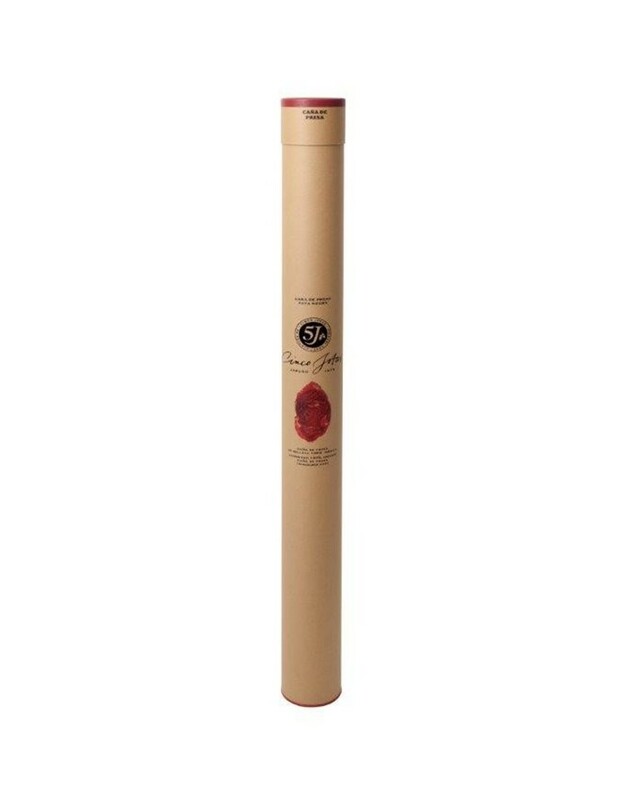 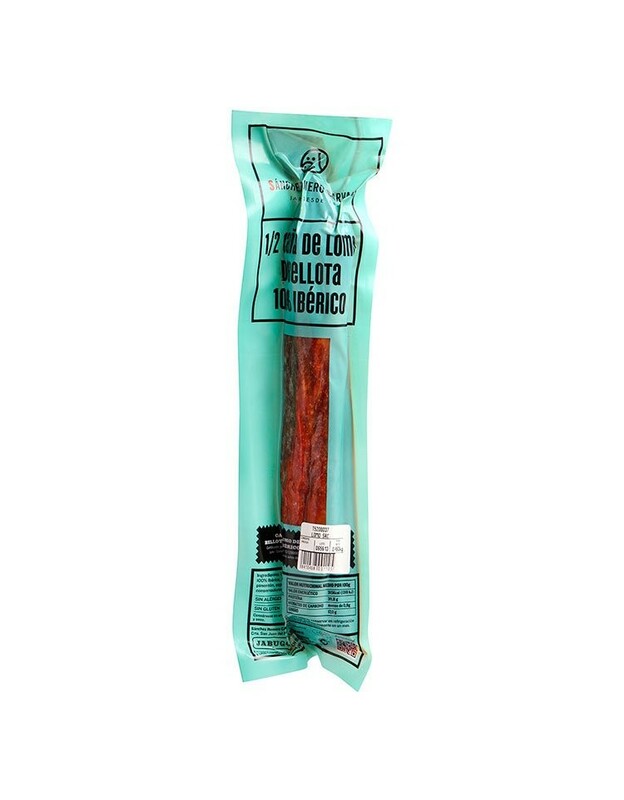 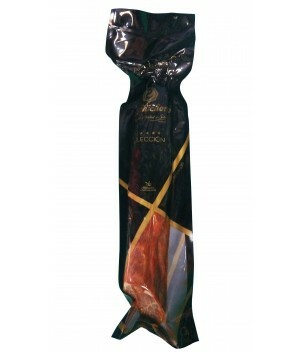 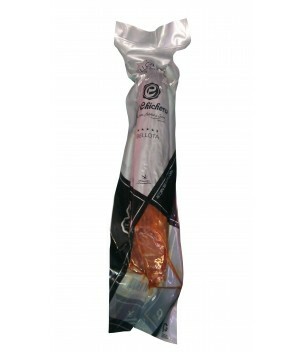 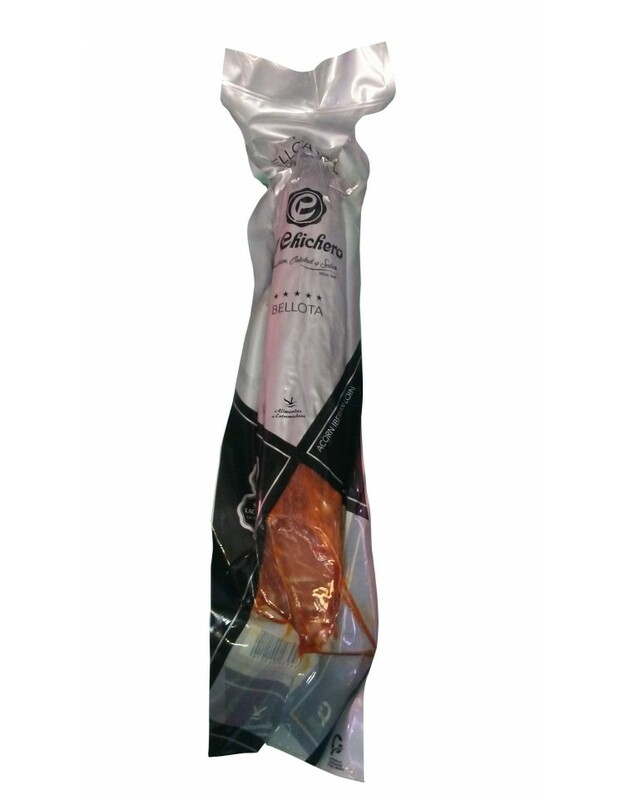 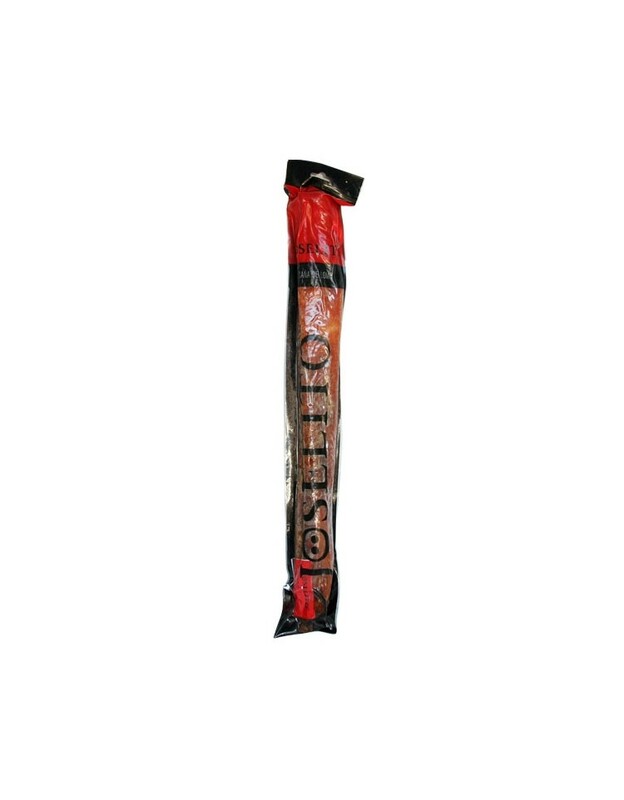 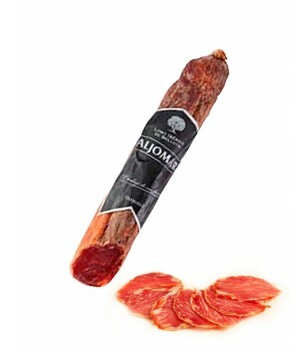 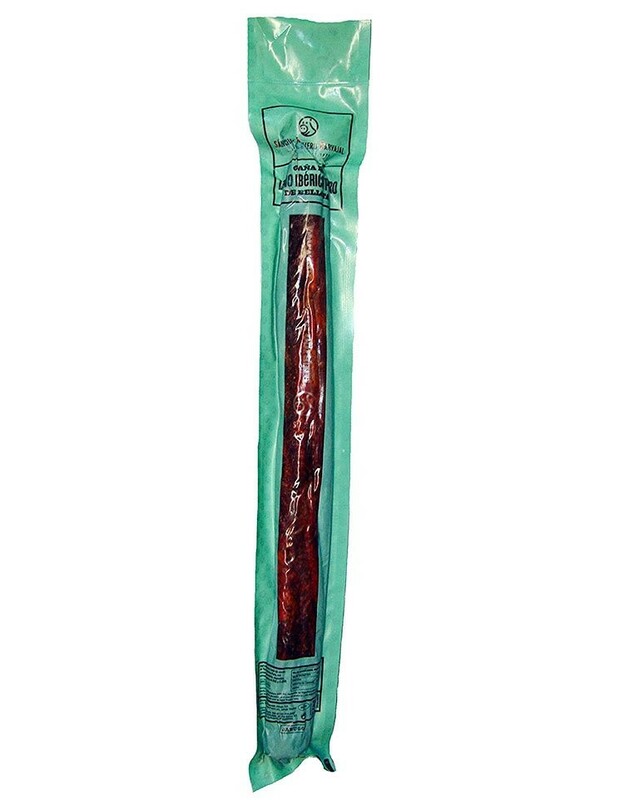 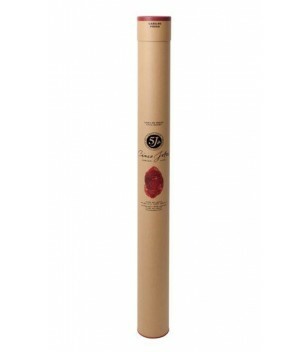 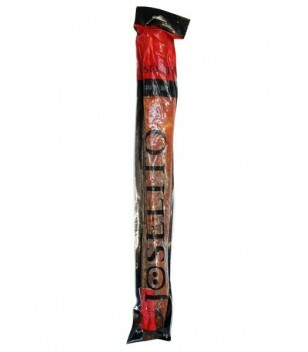 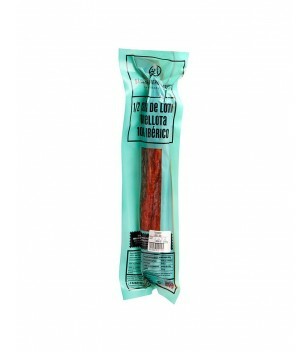 The Cinco Jotas can contains 3 loin canes of 1kg approx each one. 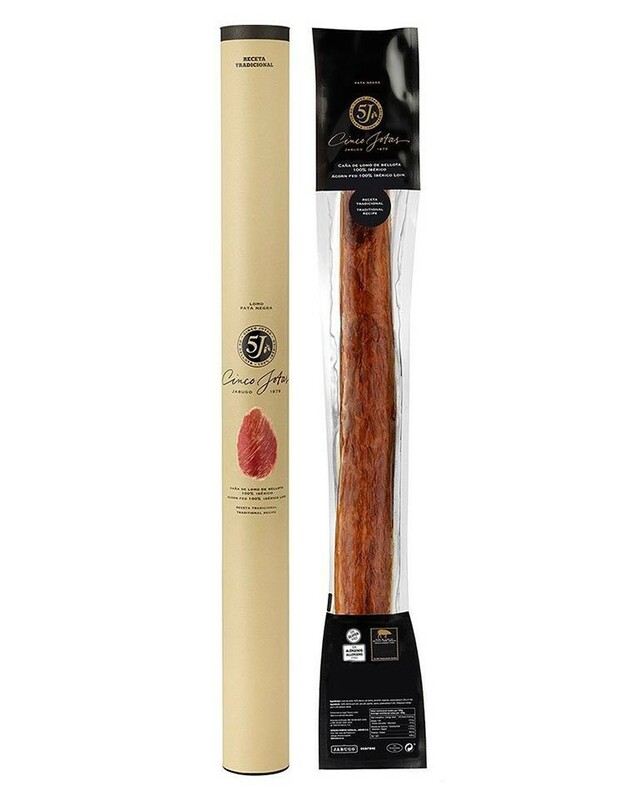 The Acorn Fed 100% Ibérico Cured Loin is a dry cured meat that is made in true handcrafting from a whole piece corresponding to the lumbar muscle. 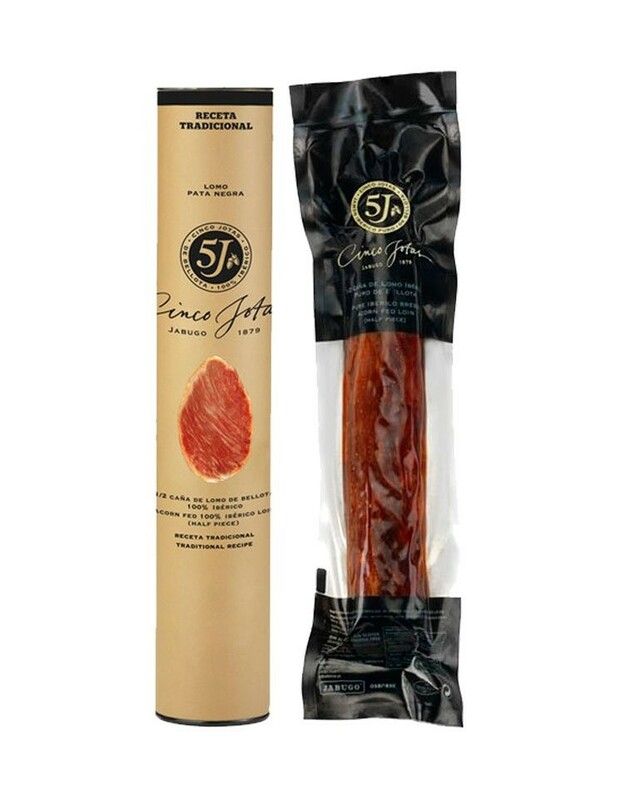 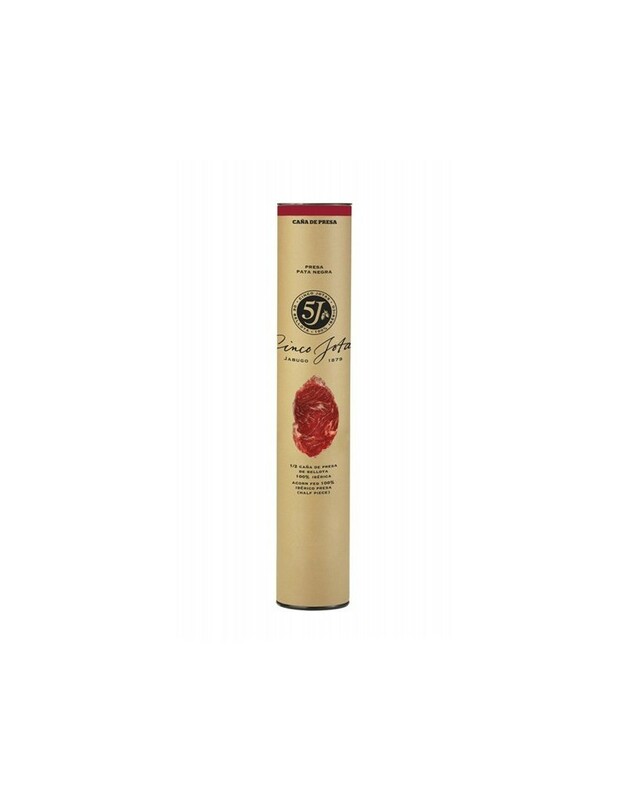 The Acorn Fed 100% Ibérico Cured Loin is a dry cured meat that is made in true handcrafting in Jabugo from a whole piece corresponding to the lumbar muscle. 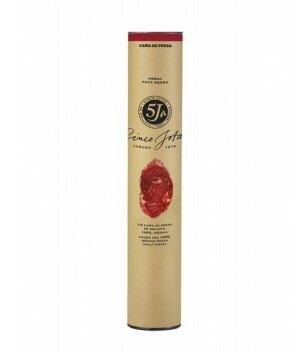 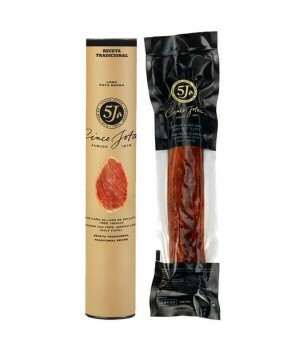 Cinco Jotas Acorn-fed 100% Ibérico Presa is one of the great delicacies of Cinco Jotas. 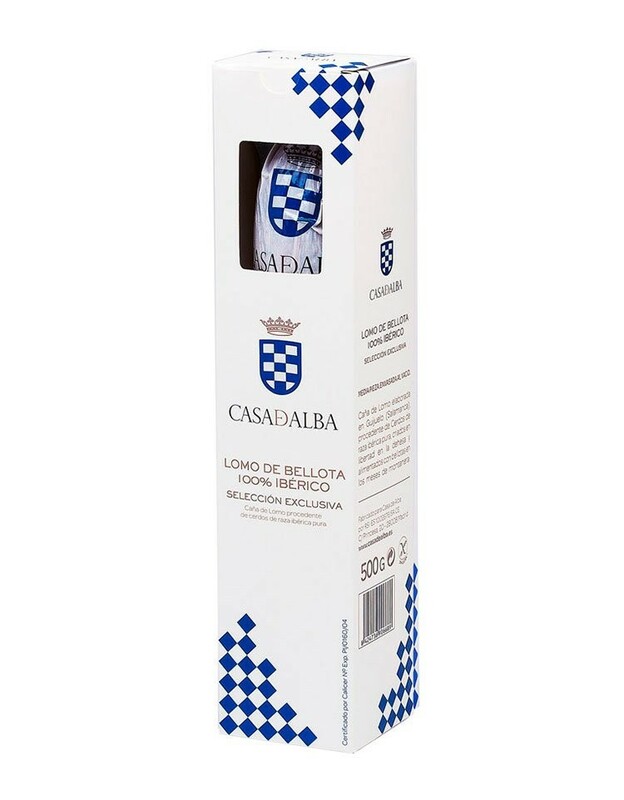 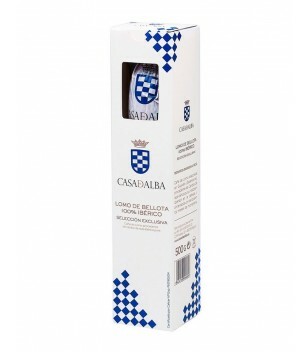 Acorn Iberian cured loin Casa de Alba exclusive selection. 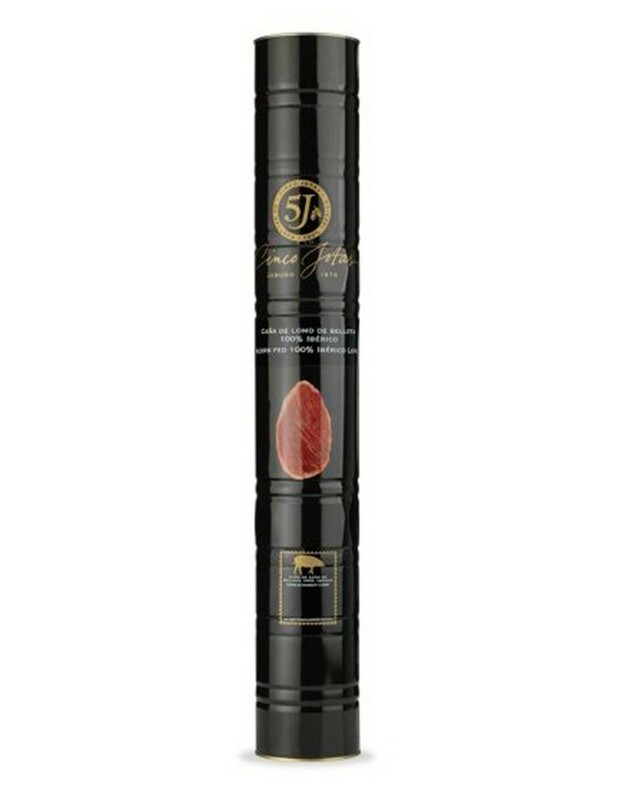 Exclusive selection for Casa de Alba of products from Iberian pigs. 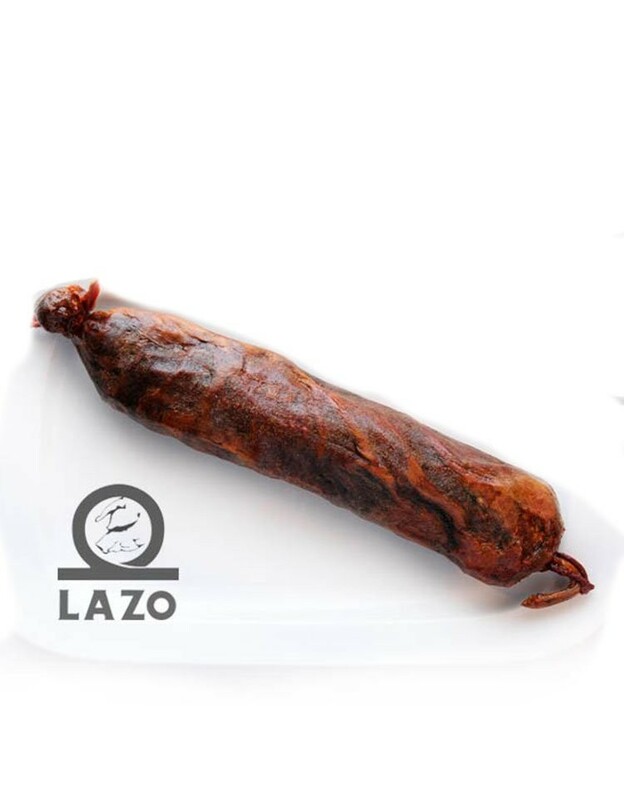 The Iberian Lomo de Bellota de Guijuelo, is made from Iberian pigs , fed outdoors, based on cereals in the meadows. 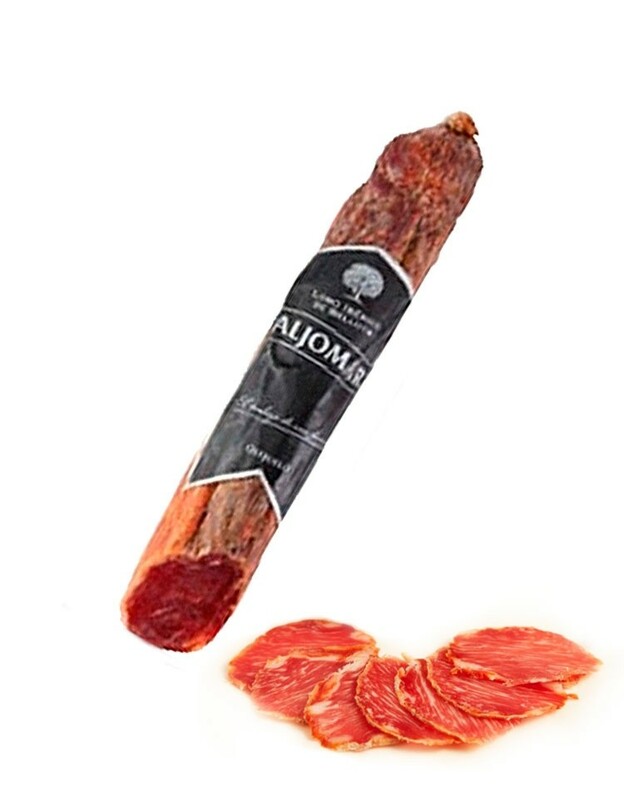 This typical Salamanca product, is handcrafted with paprika of Denomination of Origin Pimentón de la Vera, garlic, salt and oregano.